The conceptual framework of ’organic architecture’ is the most common theory used in analysing Alvar Aalto’s life’s work. Actually, it could not be considered a real theory, but a quite fuzzy concept due to its many miscellaneous interpretations. Aalto himself talked about organic architecture without never explicating properly what it means. In this respect, more research should be done. For example, Aalto’s regional plans deserve to be analysed from this point of view. Perhaps the most favourable case is the Kokemäenjoki valley regional plan, for it offers new keys for interpretation due to its emphasis on textual representation. The other key used in this study is Goethe’s philosophy of science. 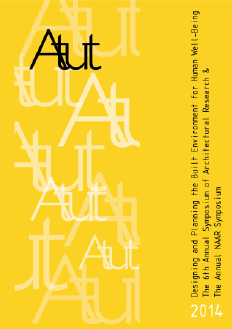 Many writers have noticed its resemblance to Aalto’s thinking and approach. Unfortunately the argumentation is too often superficial, although more thorough processing seems to evoke new ideas on Aalto’s design approach, as well as on organic architecture on a more general level. Surprisingly these ideas appear quite topical in our digitalizing world. Aalto, A. 1943. Kokemäenjoen aluesuunnitelma. Pori. Aalto, A. 1949. Valtakunnansuunnittelu ja kulttuurimme tavoitteet. Suomalainen Suomi 5/1949. Also in Schildt, G. ed. (1997). Näin puhui Alvar Aalto. Helsinki: Otava. Bortoft, H. 1996. The Wholeness of Nature. Goethe’s Way Toward a Science of Conscious Participation in Nature. Edinburgh: Floris Books. Giedion, S. 1941/2008. Space, Time and Architecture. The growth of a new tradition. 5th revised and enlarged edition. Cambridge, Massachusetts: Harvard University Press. von Goethe, J.W. 1970. Italian Journey (Italienische Reise, 1817). Translated by W.H.Auden and Elizabeth Mayer. Harmondsworth, Middlesex: Penguin Books Ltd.
von Goethe, J.W. 2006. Theory of Colours. (Zur Farbenlehre, 1810). 1st English edition 1840. Translated with notes by Charles Lock Eastlake. Mineola, New York: Dover Publications. von Goethe, J.W. 2009. The Metamorphosis of Plants (.Versuch die Metamorphose der Pflanzen zu erklären, 1790 ). Introduction and photography by Gordon L. Miller. Translated by Douglas Miller. Cambridge, Massachusetts: The MIT Press. Koho, T. 1998. Alvar Aalto. Muutoksen etsijä. Helsinki: Rakennustieto Oy. Le Corbusier 1986. Towards a New Architecture (Vers une architecture, 1923). 1st English edition 1931. Translated by Frederick Etchells. New York: Dover Publications. Mikkola, K. 1985. Aalto. Jyväskylä: Gummerus Oy. Naydler, J., ed. 2009. Goethe on Science. An Anthology of Goethe’s Scientific Writings. 4th printing, first published in English in 1996. Translated by Douglas Miller. Edinburgh: Floris Books. Nupponen, T. 2000. Arkkitehdit, sota ja yhdyskuntasuhteiden hallinta. Helsinki: SKS. Oswald, F. & Baccini, P. 2003. Netzstadt. Designing the Urban. Basel: Birkhäuser. Pelkonen, E-L. 2009. Alvar Aalto. Architecture, Modernity, and Geopolitics. New Haven and London: Yale University Press. Porphyrios, D. 1982. Sources of Modern Eclecticism. Studies on Alvar Aalto. London: Academy Editions. Rautsi, J. 1984. Alvar Aallon toteutumattomat aluesuunnitelmat ja kokeilukaupungit – vaihtoehtoinen suomalainen kaupunkimuoto. Helsingin yliopisto. Rautsi, J. 1998. Alvar Aallon toteutumattomat alue- ja kaupunkisuunnitelmat. In Tuomi, T., Paatero, K. & Rauske, E., eds: Alvar Aalto seitsemässä talossa. Tulkintoja arkkitehdin elämäntyöstä. Helsinki: Suomen rakennustaiteen museo. Pp 169-183. Ray, N. 2005. Alvar Aalto. New Haven and London: Yale University Press. Schildt, G., ed. 1997. Näin puhui Alvar Aalto. Helsinki: Otava. Sepper, D.L. 1988. Goethe Contra Newton. Polemics and the project for a new science of color. Cambridge: Cambridge University Press. Sieverts, T. 2003. Cities Without Cities. An interpretation of the Zwischenstadt. London and New York: Spon Press. Sullivan, L.H. 1979. Kindergarten Chats and Other Writings. First published 1918. New York: Dover Publications, Inc.
Vartiainen, P. 1988. ”Seutuistuminen yhdyskuntasuunnittelun haasteena”. Terra 103, pp. 75-86. Venturi, R. 1966. Complexity and Contradiction in Architecture. New York: The Museum of Modern Art. Wright, F.L. 1939. An Organic Architecture. An Architecture of Democracy; The Sir George Watson Lectures of the Sulgrave Manor Board for 1939. London: Lund Humphries & Co.
Zevi, B. 1950. Towards an Organic Architecture. London: Faber & Faber.